It&apos;s a drippy 38 degrees Celsius in a crowded, no-air-conditioning airport in Costa Rica and West Jet&apos;s system is completely kaput. An hour after the total technology fail, the harried crew resorts to processing the dense throng of sweating passengers (some with fretful small-fry) manually – yes, as in pens to paper. And you and a beauty-editor squad about 19-women strong have already been standing in the increasingly hostile check-in line for two hours. Can you say cranky? 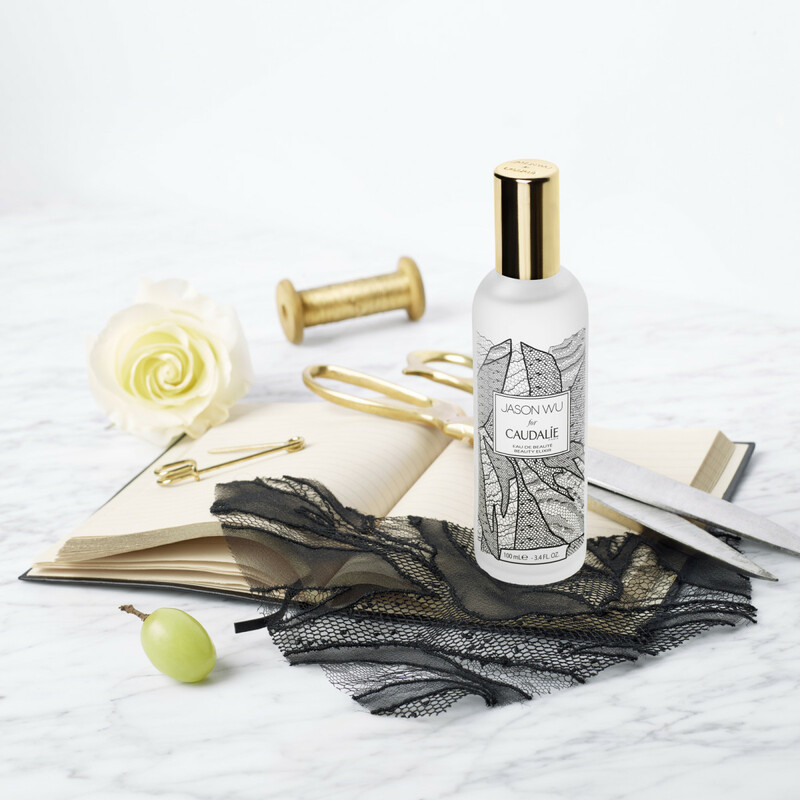 In an inspired move, Elle Québec assistant beauty editor Théo Dupuis-Carbonneau pulls from her bag a bottle of Caudalie Beauty Elixir and mists your overheated face. Suddenly, life is better. Not in a West-Jet-system-fix and fast-moving-lineup way, but better in a dudes-we&apos;re-beauty editors-we-can-handle-this way. That&apos;s the power of any lovely face mist, isn&apos;t it? I call it pause-button beauty. 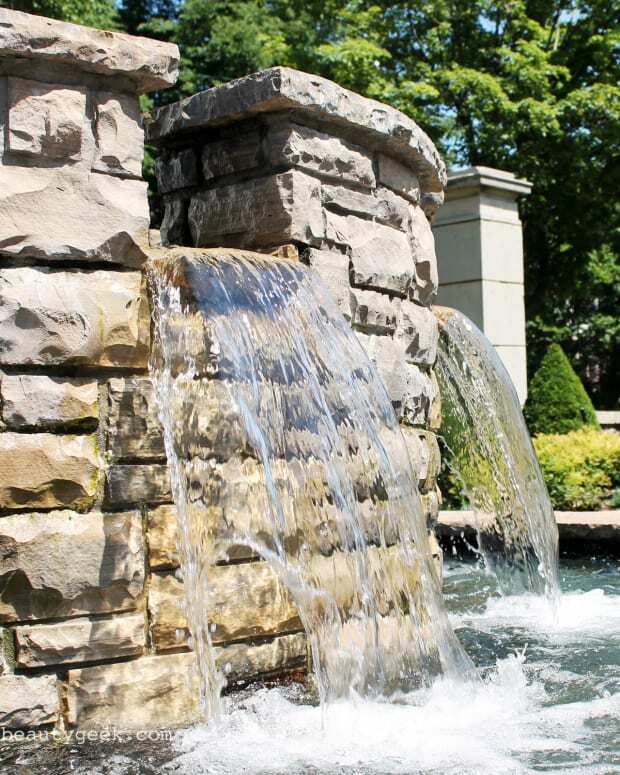 Soul-restoring. 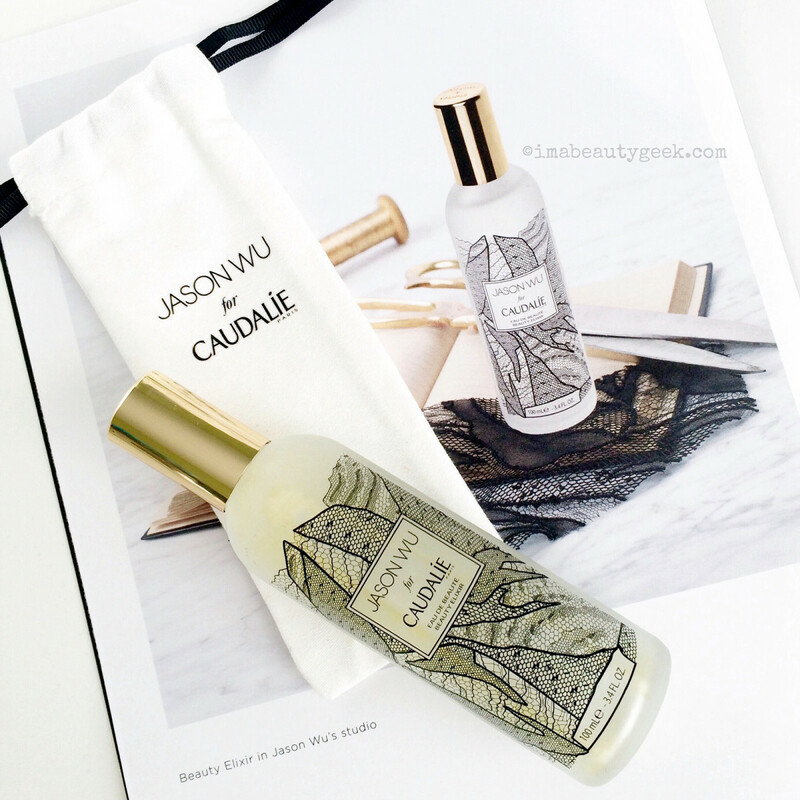 Jason Wu must feel a similar appreciation for Caudalie Beauty Elixir. He describes it as "impeccably crafted," according to the press booklet. High praise from the designer; he&apos;s known for his incredible attention to detail. Fashion designer Jason Wu with Caudalie co-founder Mathilde Thomas. Photo: Caudalie. 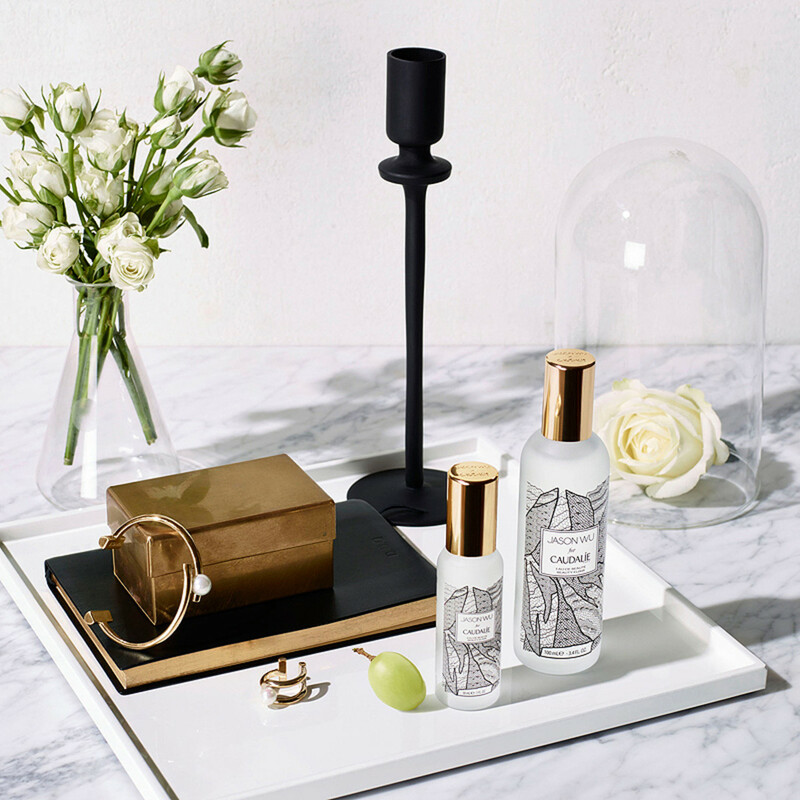 "I distinctly remember the first time I used the Caudalie Beauty Elixir," says Wu. "I could not believe what a dynamic product it is." "I use it once in the morning straight out of the shower and to refresh throughout the day – it&apos;s especially great during show prep!" And just as it did us in that hot, humid airport in Costa Rica, Caudalie Beauty Elixir "immediately makes me feel revived," says Wu. 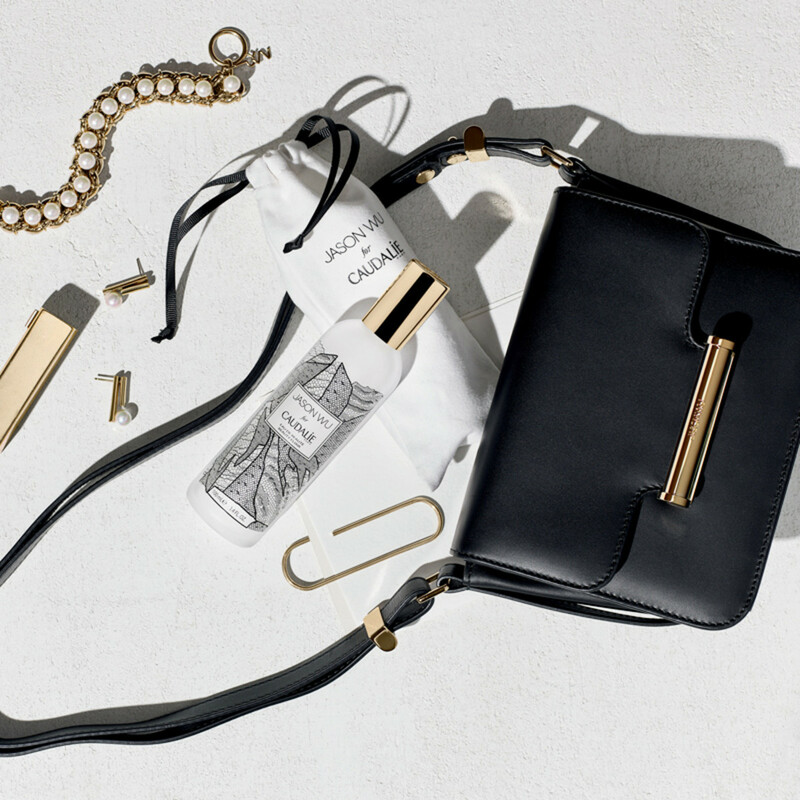 The Jason Wu for Caudalie Beauty Elixir (from $19 CAd and $18 USd at sephora.com) is outfitted in a lace design that echoes the lace from Wu&apos;s 2016 Spring/Summer collection; the cap gleams gold like the hardware on his bags. Launch date is August 15th. 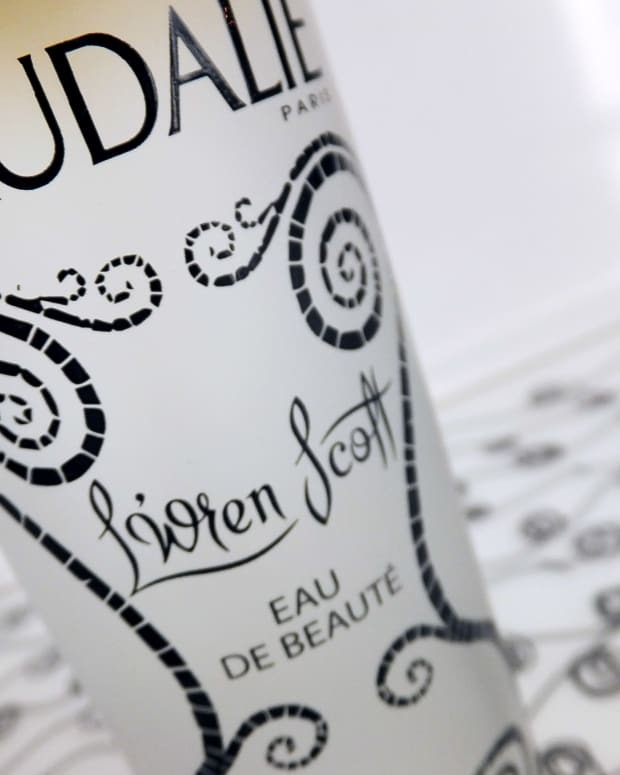 Have you tried Caudalie Beauty Elixir? What&apos;s your fave instant pick-me-up?